How Do Full Time RVers Handle Health Care And Medical Issues? Universal Health Care sure would be a good thing for RVers! It would be nice if any person could walk into any medical facility and have their medical needs taken care of. I think when that day comes, more people will be hitching up their RVs and hitting the road on a more permanent basis. Health care is the one stumbling block that keeps RVers of modest means from pursuing their desire to travel with no particular agenda. The cost of health insurance, on the other hand, has reached levels that a large percentage of the population can no longer manage. Unfortunately, insurance companies do business in a manner that is very unfriendly to those who don’t remain in a particular neighborhood or city… like RVers They work deals with medical facilities discounting their fees with the understanding that everyone under their umbrella will be required to do business with them or face no coverage, or a dramatically reduced coverage at best. That’s not usually much of an inconvenience to those who don’t travel far, but for a full time RVer it could mean financial ruin. The RVers who find themselves between a rock and a hard place are usually those who gave up their careers early in life to go a different way, or early retirees who don’t yet qualify for Medicare. Younger people who are in good health are more likely to risk periods of time without any medical coverage at all. When we became full timers, my wife was 40 and I was 45. We were forced to keep our fingers crossed because we were unable to obtain health insurance coverage at a feasible price. Over a period of 8 years, there were probably 2 or 3 years where we were on our own. It was a very risky time, emphasized by the fact that I had disk fusion surgery and my wife had a hysterectomy. Fortunately, both unexpected situations came during periods that we were insured. Many cities have “free clinics” or medical centers that operate on a sliding scale. Some even provide medical care for free. Here’s a list of the upcoming free medical clinics provided by Remote Area Medical. 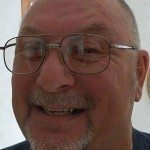 Even when you’re low on funds, as an RVer you can take advantage of those types of services. Or, try these other ways to get health care when you need it. 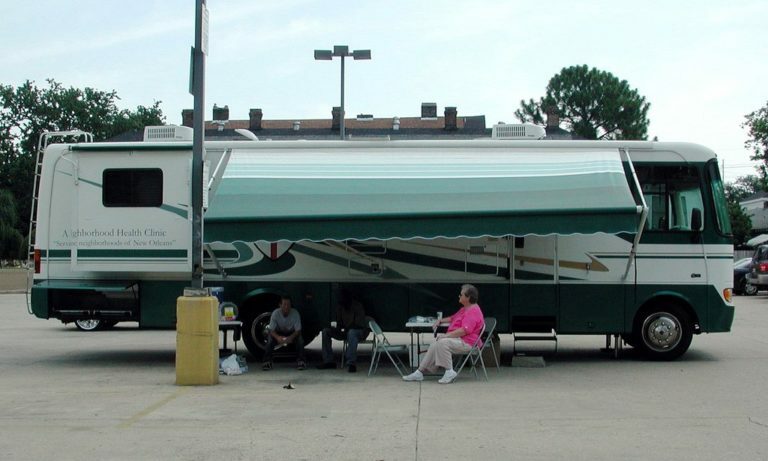 Your absolute best bet is to approach the nearest Social Services Center, if you find yourself in need of medical care while RVing. Retired RVers over the age of 65 qualify for Medicare. The beauty of it is the fact that your benefits follow you wherever you go. The only exception is if you travel outside of the United States. So, if you travel outside the U.S., then you would need to have a travelers health coverage policy to cover you during those times. Certain veterans can obtain medical care through the Veterans Administration. Coverage is determined by your length of service and your annual income, as well as whether you have any service-related conditions or not. So if you have past military service, this may be the best option for you as an RVer. With my 4 years active duty, I was within their income requirement one year while we were in Texas. Getting your medications can also be an issue for the full time RVer. Most prescriptions can be ordered by mail in 90-day supplies. At many pharmacy store chains (including Walgreens) you can walk into any of their stores and get a refill for your prescription — even if you’re outside of your home state. Many RVers maintain relationships with two doctors instead of just one. For example, there may be one doctor up north for the summer months, and another doctor down south during the winter months. Having a doctor who’s familiar with you within hundreds of miles is a lot better than your doctor being 3,000 miles away! Having your current and complete health information with you could actually become a matter of life or death. The best way for an unfamiliar doctor to get up to speed when trying to diagnose a new or unexpected health problem is for him to have immediate access to your full medical history. Life Key is one such device. It’s a great way for RVers with existing health conditions to carry everything with them while on the road. Health care on the road isn’t always the easiest hurdle to get over. However, it certainly can be accomplished with a little effort on your part. The critical issue is organization and accurate information. If you’ve got your ducks in a row, then you’ll find a way to take care of it. As a last resort, if you find yourself in a health crisis with no insurance and little funds, take a deep breath and head for the Emergency Room. Heck, they can’t squeeze blood out of a turnip!